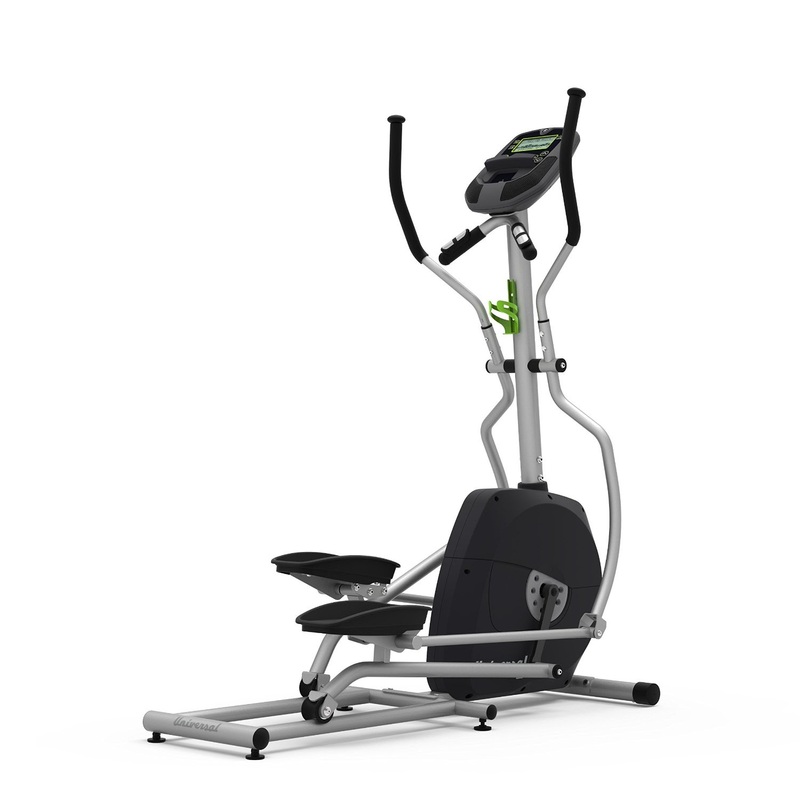 Get fit in the comfort of your own home with the Universal E40 Elliptical Trainer. The Universal E40 is designed with a solid sturdy heavy-duty steel frame yet compact size – ideal for smaller spaces in your home! The Universal E40 Elliptical Trainer is ergonomically designed, offering a total-body low-impact cardio workout with plenty of options to keep your workouts interesting and challenging. 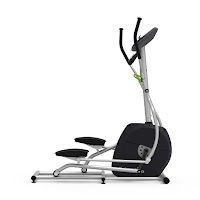 The Universal E40 Elliptical Trainer features a comfortable 17.5” stride length and utilizes a perimeter-weighted high-inertia flywheel combined with Eddy Current Brake magnetic resistance for quiet and smooth natural movement. The Universal E40 offers 8 levels of magnetic resistance so you can start off at your own pace and increase the intensity of your workouts to keep yourself challenged. In addition, there are 7 different workout programs and you can customize your workout to keep your workouts varied and interesting. 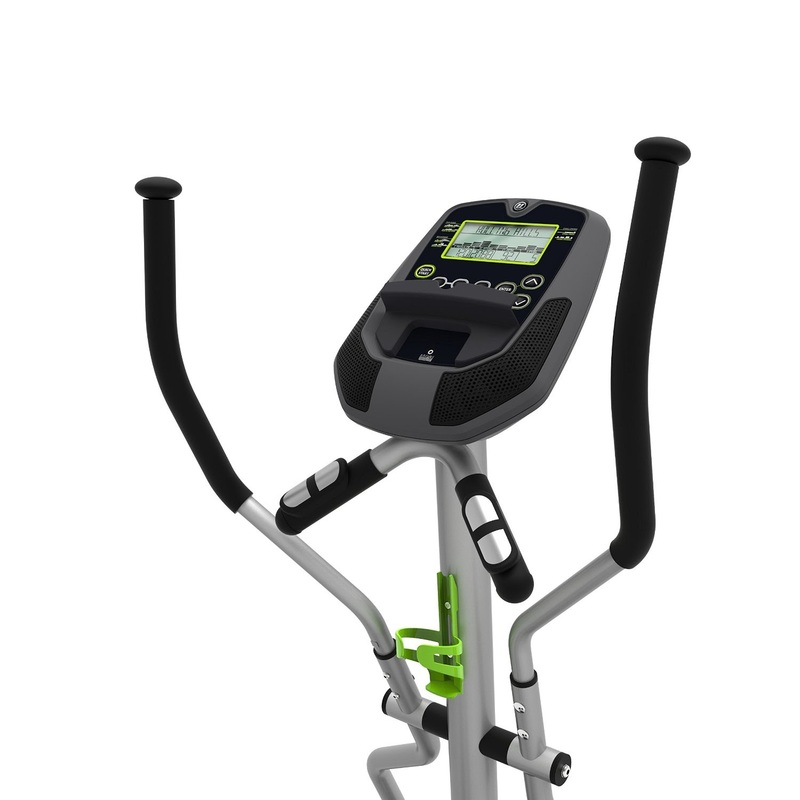 The Universal E40 Elliptical Trainer comes with an easy-to-use console with a large easy-to-read LCD screen which displays motivating workout stats as you exercise, including time, speed, distance, RPM, calories burned, pulse heart rate, resistance level and course profile. The console is operated with either batteries or with an optional AC adaptor (available separately). In addition, the E40’s console features quick-start keys, a media shelf and a sound system with MP3 input and speakers so you can keep entertained as you workout. There’s also a handy water bottle holder located on the frame underneath the console so you can keep hydrated as you exercise. The Universal E40 Elliptical Trainer features dual-action handlebars – moving and static, so you can choose whether to work your arms/upper body and your legs/lower body together or just your legs/lower body on their own. The moving handlebars are ergonomically designed with foam padding for a comfortable grip, while the static handlebars incorporate pulse-grip heart-rate sensors so you can track your heart rate on the console to stay in your target heart-rate zone. 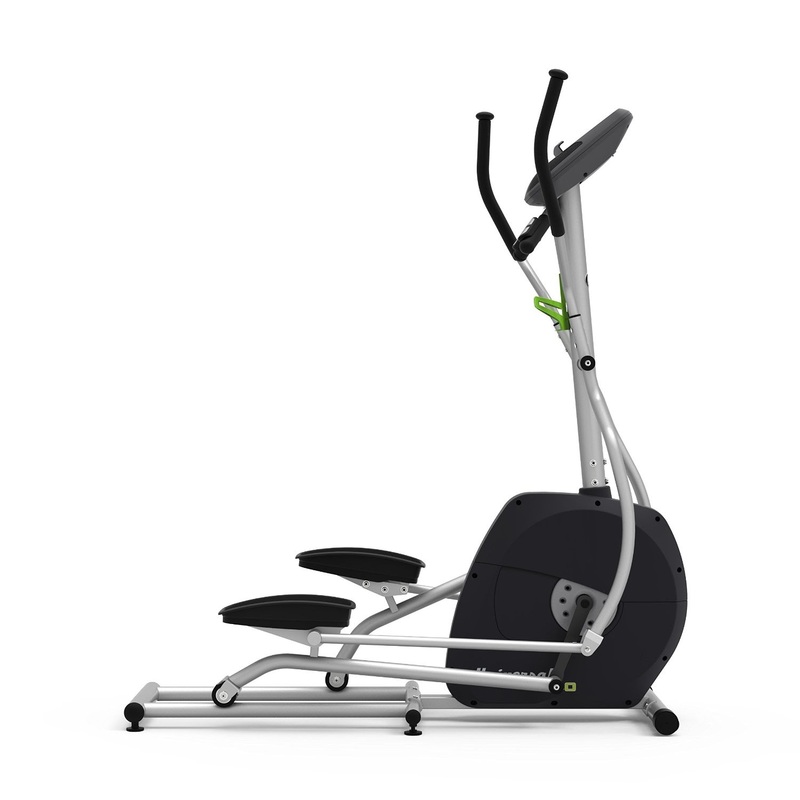 Universal comes under the Nautilus brand umbrella (which includes Nautilus, Schwinn, Universal, Bowflex), and combines high-quality with compact space-efficient exercise equipment. The Universal E40 elliptical trainer includes levelling feet for uneven surfaces and front-mounted transportation wheels for easy relocation.